Why Choose Michael Offord Optometrist? 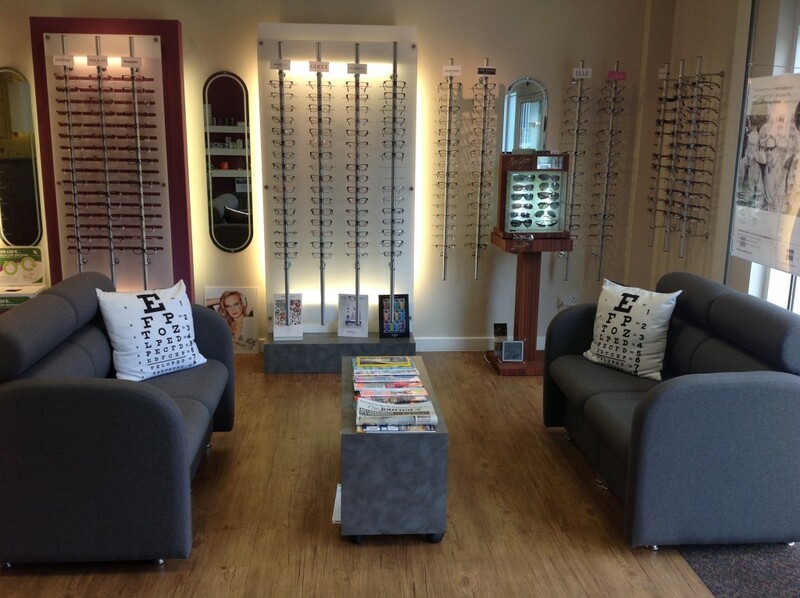 You will be seen in an optical practice owned and inspired by an award winning Optometrist. You will benefit from over 30 years of experience in both your eye examination and dispensing. You’ll experience continuity of eyecare from our dedicated team of Optometrists. You will be assured of the best advice with regard to frame and lens selection and care from our qualified Dispensing Opticians. You’ll find our extended opening times with early morning and late evening appointments mean you can arrange to see us at a time that suits you best. You’ll be able to park near our door in the free car park. Michael Offord Optometrist’s was established by Michael Offord in September 1981 in the Kingston Park shopping centre, Newcastle upon Tyne. The practice was originally staffed with one optometrist- Michael Offord and two reception staff. In November 2010 we moved into our new bigger practice still in the Kingston Park Centre. We have experienced many benefits of moving to a bigger practice- we now have a dedicated room set up for screening equipment to offer additional eye health checks aside from the eye examination. More space has meant we are able to stock a wider range of frame choice in a bright, modern, spacious environment. In summer 2014 we expanded further with the addition of 2 first floor consulting rooms allowing us to offer our award winning optical services to even more patients. Whatever your query our Optical Advisors will know how best to deal with it, and will always greet you with a smile. You will experience a friendly, caring and professional service; putting you at ease during your eye examination and encouraging you to ask questions if there is anything you are unsure of. You can be confident that we only stock products supplied to us by companies, who like ourselves, aim to deliver quality products with an efficient service. Your glasses and contact lenses will be delivered in the minimum amount of time and, should delays occur, we will keep you informed. You can rely on your new glasses which are covered for one year from purchase against faulty manufacture, and we will readily replace or repair them free of charge should any problems occur. You are assured of care which doesn’t end when you leave the practice with your new spectacles or contact lenses: our dispensing team are always available to re-adjust, repair and advise you on your new eyewear.